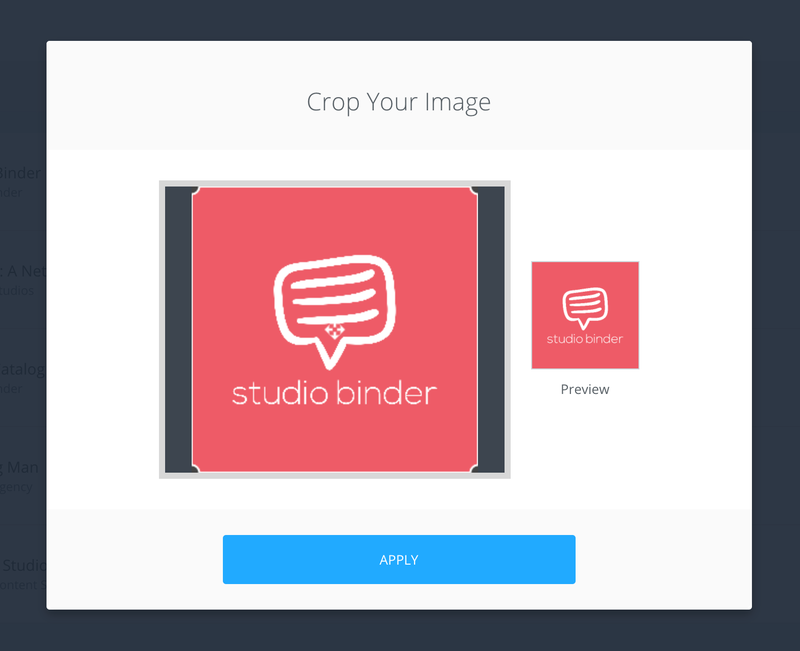 Customize and upload a project logo to StudioBinder. Project Logos are used throughout StudioBinder to identify your project, but they are also located on your Reports and Call Sheets. Follow this guide to learn how to customize your Project Logo. On your Dashboard and click the image next to your project. 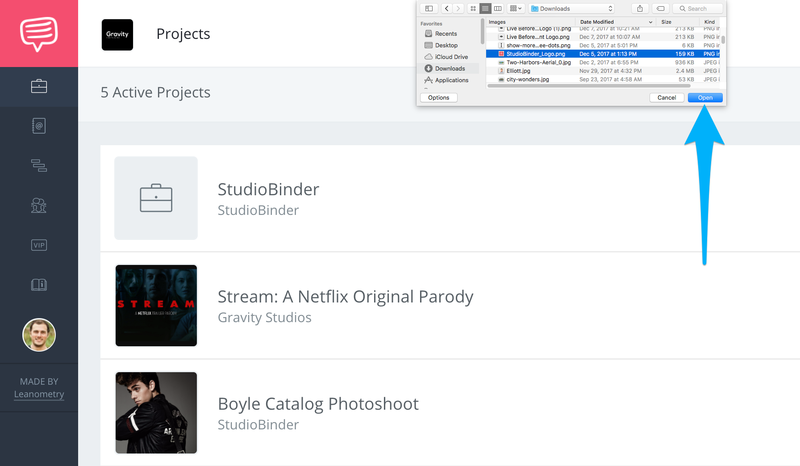 Pick an image from your files and open it into StudioBinder. Crop your image and click Apply.